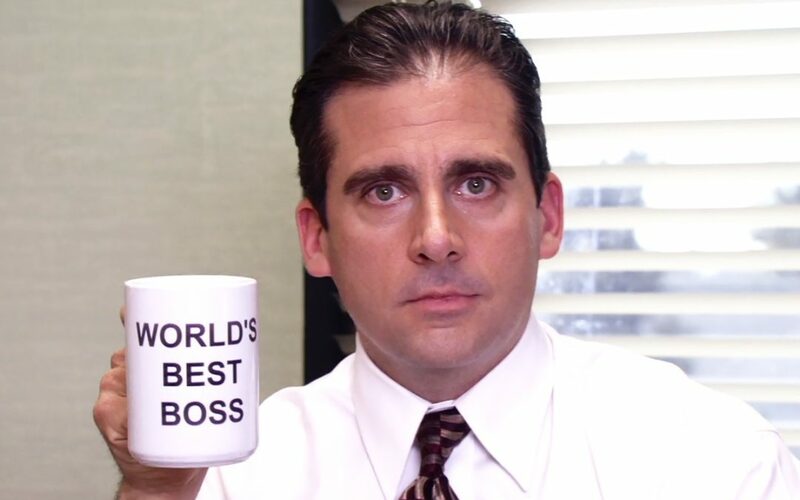 One of the best comedy ensemble tv shows of the last couple of decades is ‘The Office’, and one of the best characters of the show is the manager of the Dunder Mifflin Scranton branch, Michael Scott, played to perfection by Steve Carell. What makes Michael so awkwardly, cringingly hilarious to watch is his complete and total lack of self-awareness. In real life, of course, a leader without self-awareness is much less funny. People who aren’t self-aware inevitably cause difficulties for others. As Henry Cloud says, “It is always the personal side that creates the problems, the stress, or messes up the goals.” Lack of self-awareness on the part of the leader makes that personal side much, much harder. Leaders with great self-awareness, and the humility to continue developing it, however, create healthier cultures in which they, others and organisational effectiveness are all most likely to thrive. In the broadest possible terms, leadership across the lifespan is often characterised by three rough phases, providing a leader continues to grow throughout the course of their life.These general phases are ‘preparation’ through to about age 30, classic ‘leading’ during the main career years, and ‘giving back’ leadership in the typical ‘retirement’ years. As an organisation, Arrow recognised that many leaders were not, in fact, continuing to meaningfully grow throughout their lives. Instead, many were plateauing in their 30s or 40s, stagnating in their leadership development, and never reaching the potential of their ‘peak leadership’ and ‘giving back’ years. Therefore, the Arrow program is designed to help young leaders set themselves up for lifelong leadership growth, establishing a mindset and trajectory that will encourage them to continue learning, changing and growing. A crucial part of this, emphasised by the program over its two years, is self-awareness. In order to continue effectively growing, learning and being refined as leaders, we need the humility to seek out self-awareness and to act on it. Without this posture, we are unlikely to ever reach the potential of fullest leadership contributions over the course of our lives. Maybe once you could get by and even succeed as a leader without self-awareness, providing you managed to deliver ‘results’ – even if it you left a trail of bruised and bloodied people in your organisational wake. I would suggest that in the vast majority of organisations, the amount of space allowed to those sorts of leaders will continue to shrink considerably. Have you looked at the makeup of the workforce lately? By 2020 (currently only 14 months away) 70% of the global workforce will be made up of workers born from 1980 onwards – Millenials and Gen Z. Leading effectively means leading members of these generations effectively, and they are not generally known for their blind respect of titles. For emerging generations, much more than previous generations, authority is earned, not ascribed. Leaders must be able to line up their walk and their talk. That means authenticity. And authenticity, if it is to be productive and healthy, requires self-awareness. For emerging generations in the workplace, authority is earned, not ascribed. One of my favourite quotes is this line from J.D. Salinger – “Joy is not a state to arrive at, but a manner of travelling.” I believe the same is true of self-awareness. We don’t one day ‘become’ self-aware, henceforth to remain so. The pursuit of self-awareness is a posture we can continually take, no matter where we are in the journey. The pursuit of self-awareness is a posture we continually take. Likewise, we can be attuned to the reality that changes in culture, organisational landscapes, economic conditions and more mean that what worked yesterday doesn’t necessarily work today. That means we need to continually pursue self-awareness in regard to how effectively our leadership is meeting the challenges of today’s realities. This is about understanding our in-built ‘makeup’. Are we naturally more detail-oriented or big-picture? Do think tend to think ten steps ahead or take things more spontaneously? It’s important as we explore these natural inclinations not to allow them to box us in, or excuse things that need development, but simply to understand our natural tendencies, so that we can learn to maximise our strengths and work on any critical weaknesses. It can also help us navigate to the kind of contexts in which we are most likely to thrive and offer our highest contributions. Our unconscious beliefs and learned instincts are often the blind spots that get us into trouble, specifically because they are indeed unconscious and deeply embedded in the way we have learned to operate in the world.They may have come from our upbringing, our key formational experiences, our major disappointments or from significant relationships in our lives. They are the beliefs that shape our perceptions of ourselves and the world – every interaction, challenge and situation. Our opportunity it to uncover them, hold them up to the light of reality, and ask ourselves if they are in fact serving us well, or if they need renovating or discarding. 360 degree reports– These are absolutely brilliant and sometimes very confronting tools through which we seek out feedback from people who interact with us in a range of ways, in order to uncover patterns and differences between how we seek ourselves, and how others experience us. I’ve done a few of these over the years and it is both challenging and encouraging to find clear actionable areas for personal development, as well as strengths we didn’t know we had. Examples of 360 tools are the Leadership Practices Inventory and Benchmarks 360. Psychologists, mentors and coaches– Experienced and qualified people who are able to provide certain types of input or guided reflection can help provide questions and prompts that assist us to uncover the unconscious beliefs and learned instincts that are shaping our perceptions, thinking and behaviour. Self-reflection– Journaling can also help us interrogate our own actions, especially if we’re wired to process through writing. We can ask ourselves why we felt or acted the way we did in different situations, and try to identify patterns, or instances where we don’t really know why we responded the way we did, so that we can explore it further. Part of the self-awareness journey is identifying those areas where we need to consciously develop new skills and behaviours. For instance, this may be in skill areas such as public speaking, intercultural awareness, effective delegation or navigating conflict. These can all be developed through deliberately learning and practising new knowledge and skills. In terms of behaviour, you could be naturally uncomfortable striking up conversation with strangers at an event, but then work on consciously developing that skill to the point that it appears to come naturally. Or, as you examine your unconscious instincts, you might realise that you often escalate conflict situations. So, you can then consciously cultivate a new pattern of behaviour that short-circuits that instinct in into a more productive and healthy approach. Self-awareness is the superpower of contemporary leadership, if indeed it wasn’t always. In order to lead changing generations amidst changing circumstances, to maximise your own potential and to set yourself up for the healthiest relationships and work life, make self-awareness a life-long pursuit, wherever you are on the journey today.